Rudolph and Hermey just might be the cutest pair of "nonconformists" the North Pole has ever seen. Embark on a holiday journey with this Vynl. duo as they battle the Abominable Snow Monster of the North and come to recognize just how fantastic their differences really are. 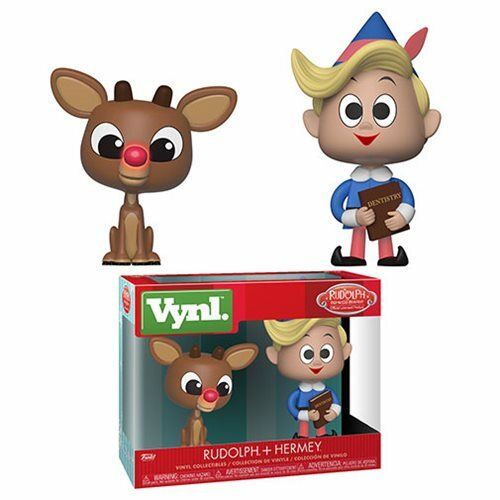 This Rudolph the Red-Nosed Reindeer Rudolph and Hermie Vynl. Figure 2-Pack comes packaged in a window display box and each figure measures approximately 3 3/4-inches tall.